In this third unit, we will explore the path to God through Torah study. We will look at some of the classic approaches to the mitzvah of Torah study using texts that Rabbi Sacks has selected, and develop an understanding of these themes through his writings. (4) explore in depth Rabbi Sacks’ approach to secular study and the place of “Torah and chokhma” in his thought. Please click on the links below to download the Educator and Student resource packs for the Entry and Advanced Levels of Unit 3 on Study. 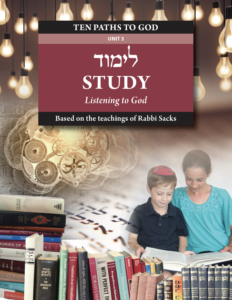 Each of these packs includes questions for discussion, mekorot (sources) and extracts from Rabbi Sacks’ writings to help you gain a better understanding of the concept of Study. Please click here to download high resolution versions of the Student and Educators Guides. Please click here to download an MP4 version of the opening video for Unit 3 on Study. Jews are the ‘people of the book’. 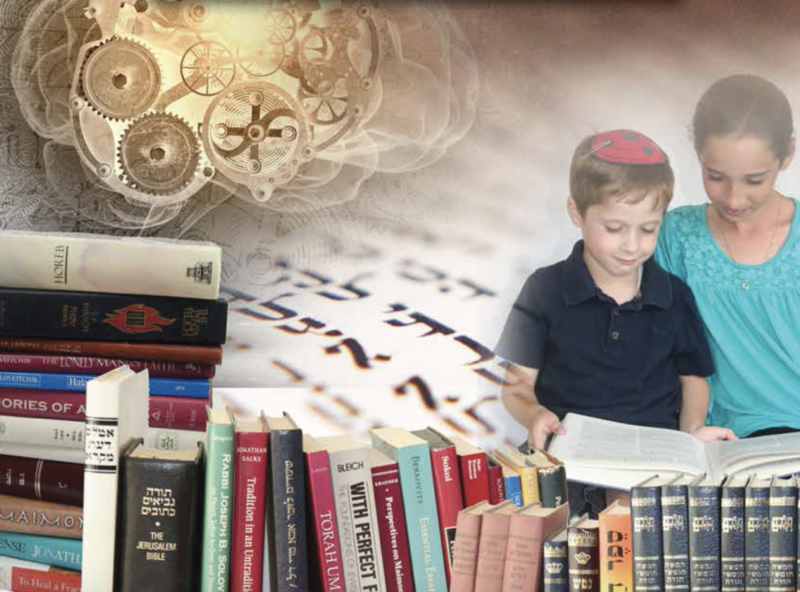 Talmud Torah – studying Torah – is the greatest of all the commands and the secret of Jewish continuity. In the Shema we are commanded, ‘Love the Lord your God with all your heart, your soul, and your might.’ Then almost immediately it says, ‘Teach these things repeatedly to your children, speaking of them when you sit at home and when you travel on the way, when you lie down and when you rise.’ Judaism is a religion of education. Study is holier even than prayer, for in prayer we speak to God, but in study we listen to God. We strive to understand what God wants from us. We try to make His will ours. For the holiest thing is God’s word. The Torah – God’s word to our ancestors – is our constitution as a nation, our covenant of liberty, the code by which we decipher the mystery and meaning of life. The words of the Torah span a thousand years, from Moses to Malachi, the first and last of the prophets. For another thousand years, until the completion of the Babylonian Talmud, Jews added commentaries to the Book, and for yet another thousand years they wrote commentaries to the commentaries. Never has there been a deeper relationship between a people and a book. The ancient Greeks, puzzled by the phenomenon of an entire people dedicated to learning, called Jews ‘a nation of philosophers’. Certainly we are called on to be a nation of students and teachers. In Judaism we not only learn to live; we live to learn. In study, we make Torah real in the mind so that we can make it actual in the world.